PSP Audioware has released its new PSP Twin-L dual algorithm classic limiter effect plugin. Regularly priced at $69 USD, the plugin is on sale for only $49 USD at Plugin Boutique until February 4th, 2019. 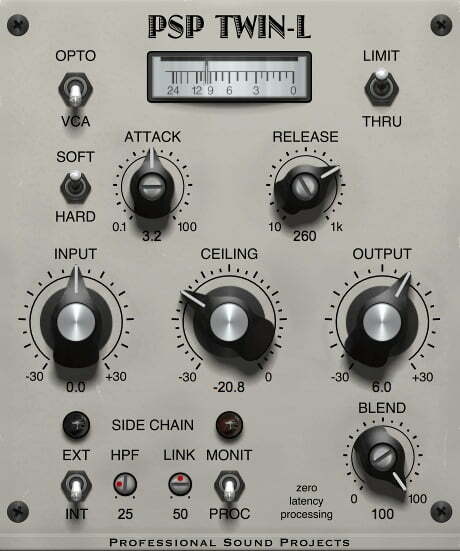 It is available in VST/VST3, AU, RTAS and AAX formats. Next articleGet Sam Spacey’s Epica Bass analog bass synth library at 50% OFF!